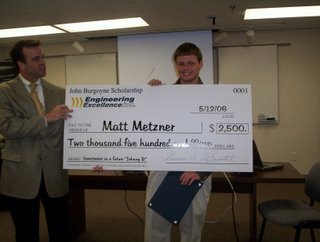 At a private ceremony on May 21, local heating, ventilation, air conditioning and refrigeration (HVACR) contractor Engineering Excellence awarded Diamond Oaks Career Development Center senior Matt Metzner with the John Burgoyne scholarship. The scholarship is named after former Senior Technician John Burgoyne. Engineering Excellence created the scholarship opportunity to give back to their profession and raise awareness for the many opportunities available in the HVAC profession. EEI hopes that the new scholarship program will address specific concerns about the major shortage of qualified, entry level people in the HVAC field. 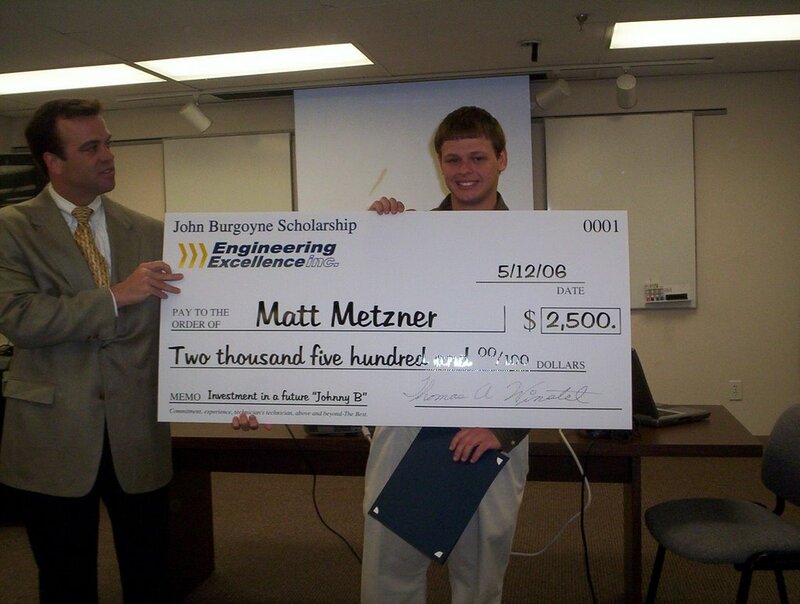 The scholarship committee chose Metzner after searching colleges, training facilities, high schools, and trade organizations for a candidate that embodied the legacy of hard work and dedication that former senior technician John Burgoyne had left behind. The $5000 scholarship will be paid in two $2500 annual installments in time to begin and or continue the specified program. Engineering Excellence, Inc. operates both nationally and regionally from its headquarters in Cincinnati, OH serving customers across the US and Canada. Engineering Excellence, Inc. provides HVAC – Heating and Air Conditioning preventive maintenance, emergency service, design/build retrofits and engineering consulting to multiple-location retailers, industrial facilities, schools, non-profits, and owner-occupied buildings. For more information about Engineering Excellence, Inc., Inc., contact Tom J. Winstel, President and COO, at (513) 761-6000.